If you thought you couldn’t afford real racing pistons, think again! 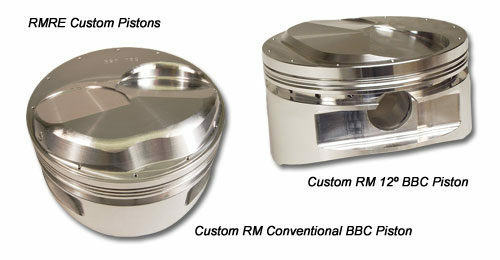 Super Series pistons are custom machined to our specifications on exclusive Reher-Morrison forgings. 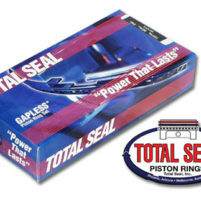 We buy these pistons in large quantities for our Super Series engines, and we pass the savings on to our customers. Don’t confuse Reher-Morrison Super Series pistons with universal, “one-size-fits-all” pistons. Our domes are specifically CNC machined to fit the combustion chambers in Dart and Brodix cylinder heads. The valve pockets are precisely cut to provide just the right amount of clearance for our Super Series camshafts without sacrificing compression. You’ll find Pro Stock power secrets in our Super Series pistons. For example, selected Super Series pistons use gas ports and back-cut rings. Selected pistons use .043″ top and second rings that reduce friction and maintain a tight seal when the piston changes direction. Our ring grooves have the correct side and back clearances to produce the lightest possible cylinder seal for long-lasting power. 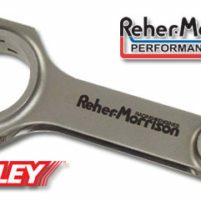 Reher-Morrison pistons are lighter than mass-produced pistons. Less piston weight means faster acceleration and less stress on the connecting rods and bottom end. 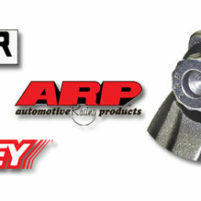 Your car will run quicker and have better reliability with Reher-Morrison Super Series pistons. Does your application require custom pistons? Call the piston experts, Reher-Morrison! 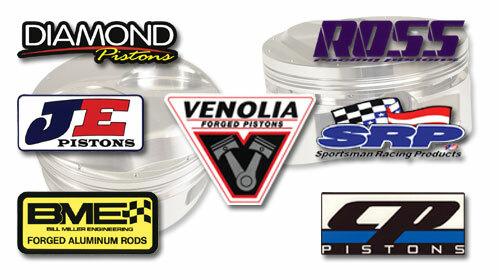 In addition to our custom Super Series racing pistons listed in the above PDF download, Reher-Morrison has both shelf or custom made to order pistons available from a variety of the nation’s top piston manufacturers. Give our Parts Department a call! We can fill most any piston needs you may require!